earing Dynamics carries a wide assortment of Sierra Vista hearing aids in order to ensure we can fit hearing loss patients with the appropriate hearing aid. 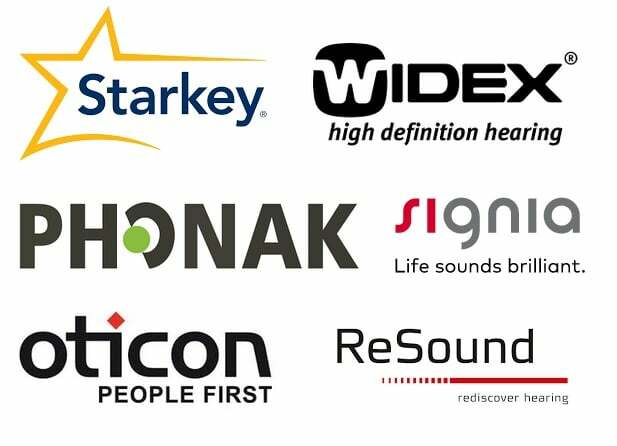 Accordingly, we offer the most advanced and best hearing aids with the latest technology from Starkey, Signia, Widex, Phonak, ReSound and Oticon manufacturers. When thinking hearing aids Sierra Vista think Hearing Dynamics! Will Hearing Aids Fix My Hearing Loss? How long you have had your hearing problem. How much hearing remains now (residual hearing). The amount of your speech recognition that was damaged. If you suffer from diabetes, stroke or kidney disease. How well you accommodate to life shifts. One of the main considerations you must recognize is that your hearing deterioration didn’t occur suddenly. Because hearing loss is usually a slow steady erosion, you may not grasp how serious your hearing loss is and brush-off your lack of hearing. Improving your hearing can take time because the brain has been deprived of the sounds it needs to function normally. When you wear hearing aids, you will become more aware of the sounds you’ve been missing, and the more exposure to everyday sounds will lead to better hearing. Be patient and give your brain time to adapt. During your adjustment period with your new hearing aids, you must be aware of and note mentally the hearing changes you recognize. Keep an open mind when adjusting to your new hearing capabilities. 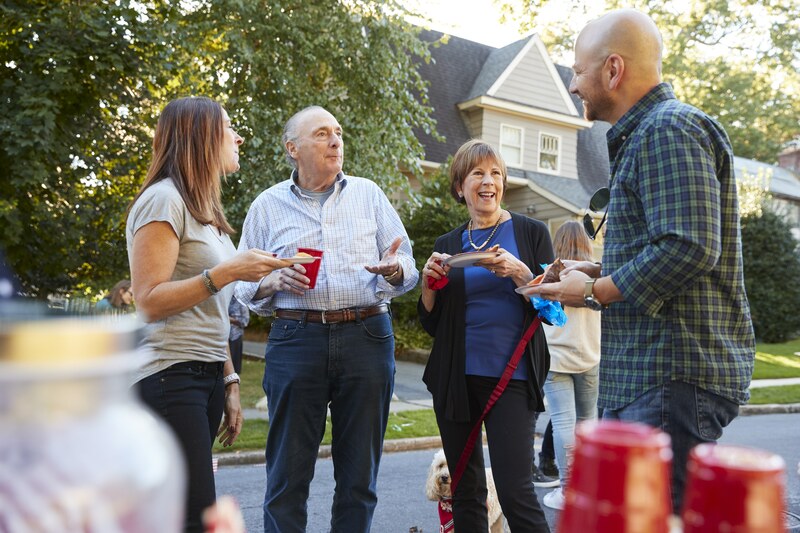 Try to accurately inform our hearing professional about the good and bad encounters you experienced with your hearing aids. Our audiologist can then adjust and fine tune your hearing instruments further and further during scheduled follow-up examinations. Your active involvement in this process will enable us to program and adjust your hearing aids providing you with the best hearing aid experience possible. In today’s technological world, there are hundreds of contraptions advertised that claim they will benefit or improve your hearing. There are Personal Sound Amplifiers (PSAPs), Assistive Listening Devices (ALDs) and the latest Amazon, Apple and Google devices called “hearables”. These hearing devices are all great for the purposes they serve. These ear accessories do not compare to the tiny programmable computers that our Sierra Vista hearing aids provide. Our hearing aids are fit and sized to your ear canal and are programmed to your specific hearing loss. You may purchase PSAPs, ALDs and hearables from retailers, hearing centers or online, but there is a huge difference between these assistive listening devices and hearing aids. Hearing aids must be carefully chosen according to your hearing test, speech in noise results, lifestyle and budget. Our hearing aids are custom fit to your ear and hearing loss. Hearing aids in Sierra Vista must be dispensed by a licensed professional. Our hearing clinic will custom program your hearing aids to match your individual hearing test (audiogram) measurements. We also measure your ear canal for the best physical fit. If you wear hearing aids with the incorrect size receivers and tips, you take a chance of loosing your hearing aids or having physical pain. Hearing aids are medical devices that should be fit only to patients who have had a hearing examination, including an inspection of the ear canal and an audiogram. When you purchase a hearing aid from Hearing Dynamics, you are assured that our hearing instruments will be custom fit to you using your audiogram results. Other hearing devices, if not used properly, may actually cause further hearing loss damage. At Hearing Dynamics the sale of a hearing aid is just the beginning of our journey towards improved hearing for you. We work hard during the entire life-cycle of your hearing aid to maximize your hearing improvements gained from wearing a Hearing Dynamics hearing aid in Sierra Vista. We will not only conduct your hearing test, but we will program your hearing aids under the close scrutiny of our professional audiologist. Also, follow-up appointments will validate that your hearing aids are performing their best. In as much as your hearing aid has been programmed to the results of your audiogram, it does not necessarily mean the hearing aid will perform its best in daily actual encounters. Beth Cegavske, our audiologist, will treat you, making small adjustments to your hearing aid until your hearing sounds are beyond your expectations. Selecting the best hearing aid professional is the critical decision a hearing impaired person will make when they’re ready and willing to help solve their hearing issues. Choosing the best hearing aid and fitting is totally reliant on the education and medical skill of the hearing specialist selecting the hearing instrument. The best hearing aids we recommend for you are chosen to be the best for your personal needs based on the outcomes of your audiogram, speech in noise test, physical ear canal, finances, lifestyle and many other considerations. We pledge to describe all the details to you, without using technical medical terms. When thinking Sierra Vista hearing aids think Hearing Dynamics! Below is a video and some information to help you understand all the current hearing device types and hearing aid styles that we carry. Invisible-In-Canal (IIC) hearing instruments are a 100% invisible when worn. This instrument sits deep in the ear canal ensuring sound travels quickly and accurately to your eardrum. This fully invisible hearing aid is designed for daily removal. Completely-in-the-canal (CIC) micro-technology allows this type of hearing aid to be worn deep inside the ear canal. CICs are so tiny, they are almost invisible when worn. In-the-canal (ITC) aids are smaller than the ITE style and are also custom made to fit the size and shape of your ear canal. In-the-ear (ITE) hearing instruments are custom-made and fit comfortably inside the ear. The behind-the-ear (BTE) style sits behind the ear, while the amplified sound passes down a tube to a customized earmold which fits in your ear. The Over-the-Ear hearing instrument style that is very similar to the Behind-the-Ear style, but is much smaller and less noticeable. This style holds the electronics in a slim case that hooks over the top of the ear and hides behind the top of the ear, the same place where eyeglasses rest. A clear narrow tube follows the front of the ear and carries sound to the tiny ear bud, which sits unnoticeable in the ear canal. Receiver in the Canal or Open-Ear hearing instruments are the newest design to reduce or eliminate that echo or plugged up feeling wearers can sometimes experience (referred to as the occlusion effect). They are easy to wear and barely noticeable. Why choose hearing aids from Hearing Dynamics? We carry hearing aids from six major manufacturers – all makes, models and accessories. We offer risk-free trial hearing aids. Our hearing aids are current generation aids containing the latest technology. We do not rebrand our hearing aids with a franchise or private name like most well-known big brands. Our hearing aids are unlocked allowing them to be adjusted and programmed nationwide. There are many hearing stores who can service our hearing aids while you are traveling or if you move. Our hearing aids do not require proprietary computer software. Very professional and thorough. 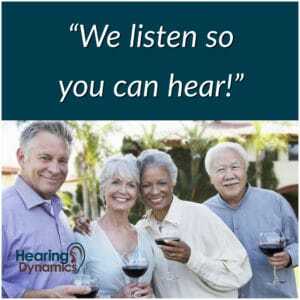 Everyone at Hearing Dynamics is dedicated to the patient’s success. 1 in 14 Generation Xers already have hearing loss!Contact Hearing Dynamics for your free hearing examination by our audiologist.Call (520) 378-1212 or complete and submit our Appointment Request today!